BE-ST Boston Endo-Surgical Technologies, Inc.
Attleboro, MA October 2011 – BE-ST, located in Hampton, New Hampshire was acquired in early October by Lacey Manufacturing, a unit of Precision Engineered Products (PEP) of Attleboro, Massachusetts. Lacey, which is located in Bridgeport, Connecticut, provides manufacturing services to medical device OEMs around the world. PEP provides manufacturing services to a variety of industries, including medical device and automotive. PEP is a portfolio holding of The Jordan Company and Nautic Partners. BE-ST is a leading manufacturer of instruments and devices used in minimally invasive spinal surgeries. It was founded in the late 1990s and is privately held. 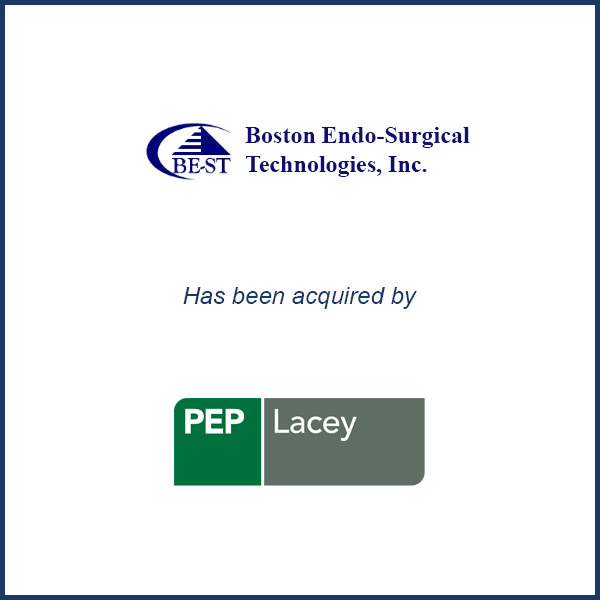 Molding Business Services acted as the exclusive financial advisor to Boston Endo-Surgical Technologies, Inc. (BE-ST) in its October sale to Lacey Manufacturing.